Icebergs: pretty, grand, glistening in the afternoon sun. The stuff of movies. And even disasters like the sinking of the Titanic. And yes, these icy wonders share more than a few traits with solution launches. 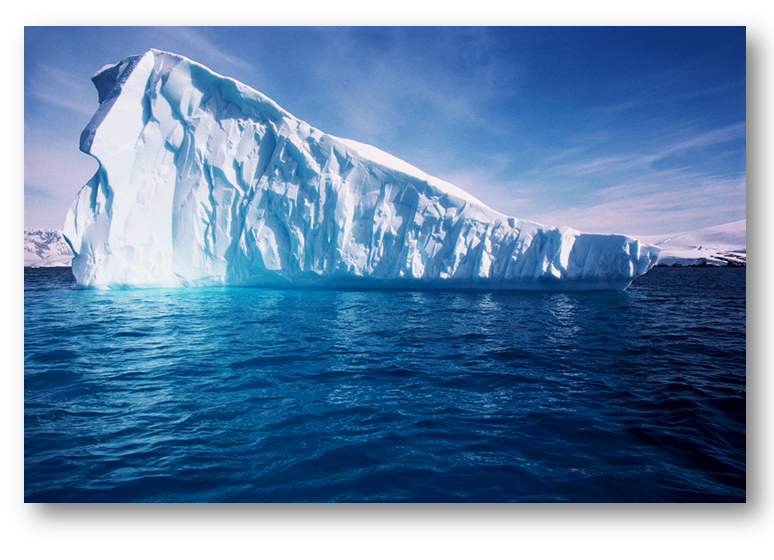 The process of launching a new solution is much like an iceberg. The most important trait? Just like an iceberg, you see only 10% of the effort above water. Up top and above the water, everything looks shiny and crisp. Pretty even. But just like an iceberg, a launch’s success is based on the 90% of effort, the foundation below the surface — the planning and preparation that sit well below the surface, invisible to the public and to many of your colleagues. Oh, and yes, just like an iceberg, a bad launch can, well, sink a ship. Yikes.